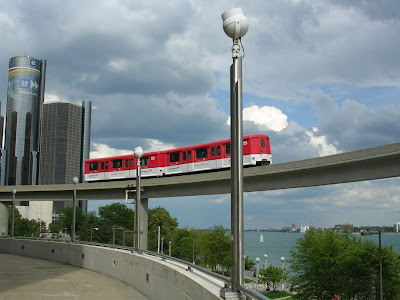 Detroit People Mover in action near Cobo Arena. You can see the Renaissance Center in the background. Look at the big GM logo. DISTRIBUTION CHANNEL; RIGHT OR WRONG?